Crazy Book Reader: Black City by Elizabeth Richards, ARC Review. 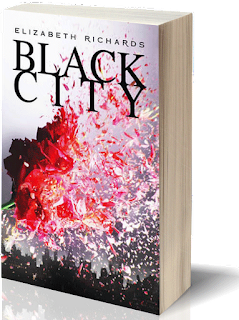 Black City by Elizabeth Richards, ARC Review. First of all I want to thank so much Damaris of Good Choice Reading who lend me this book a couple a weeks ago, she even send it all the way here!!! Thank you Dee promise I'll send it back asap. I'll tell you the story, I read Dee's review of Black City on Goodreads You can read it here... , and as soon as I read that review I was all excited about this book, Dee is a very honest reviewer, so I trust her judgment, and then as a very good friend she lend it to me!! so THANKS!! Now lets do business. I am not ususally drag into post-apocalyctic or dystopian books, but recently I've been reading a lot of them, so I'm kind of starting liking the gender. And Black City was an excelent dystopian book. In a city where humans and Darklings are now separated by a high wall and tensions between the two races still simmer after a terrible war, sixteen-year-olds Ash Fisher, a half-blood Darkling, and Natalie Buchanan, a human and the daughter of the Emissary, meet and do the unthinkable — they fall in love. Bonded by a mysterious connection, that causes Ash's long dormant heart to beat, Ash and Natalie first deny and then struggle to fight their forbidden feelings for each other, knowing if they're caught they'll be executed —but their feelings are too strong. Elizabeth Richards take us in a journey to a world devastated by war and viruses. Poorness, hunger, sickness and darkness are all around this city, in which love was impossible to grow, and yet it did. While reading this book I imagine myself in a dark world, with dust, destroyed buildings, almost no sunshine, insecurity, mean people, bad goverments; and I realized, that unfortunatelly we are not so far away from this; yes Elizabeth Richards wrote fantasy, and yet wrote reality. Discrimination, segregation are things that happen and that have been happening for ages, and so this is the amazing of this book, it makes you think, it makes you wonder what else can you do to be a better person. I loved this book, I love when an author makes me go beyond what is written, and think about how can the story teach me something. So faith is one of the lessons, never loose faith and never stop fighting for justice and fairness. Ash and Natalie, make a perfect couple, they both are protectors, they take care of the ones they love, they both have fears, but most important neither of them are perfect, which makes perfect sense in a such unperfect world. Natalie is kind of a spoiled child, even the hard events she has been through, she has not notice yet how hard the life is for the ones, that does not have an emmisary as a mother, she will learn it and grow up. Ash has all the thing I love in a male mc, he is not good, not evil, he is the bad guy, but he loves his family and friends, and he feels lonely, and hasen't realized how strong he really is. All the characters are well written and you get to know them pretty well, and you will hate them or love them. You will cry, will feel fear, will fall in love and in the end, you will be dying the read the sequel. I totally recommend you this book. 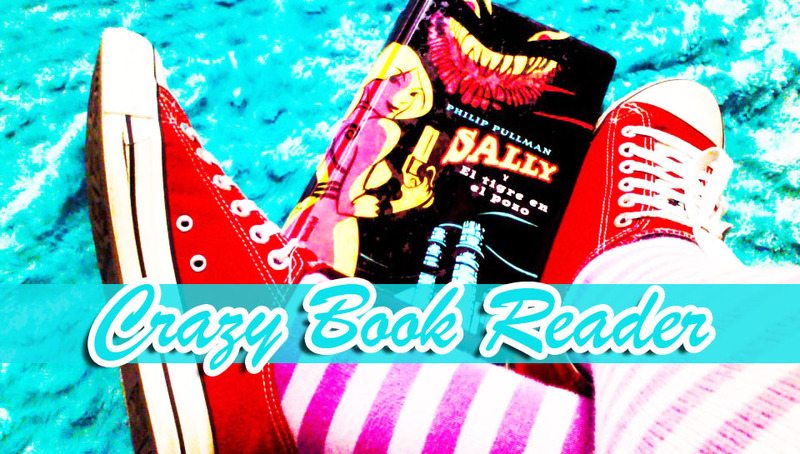 Crazy Book Cats, for Black City!!! I loveeee this book! Girl I sent it for you to keep!!! Its pure awesomeness!!! 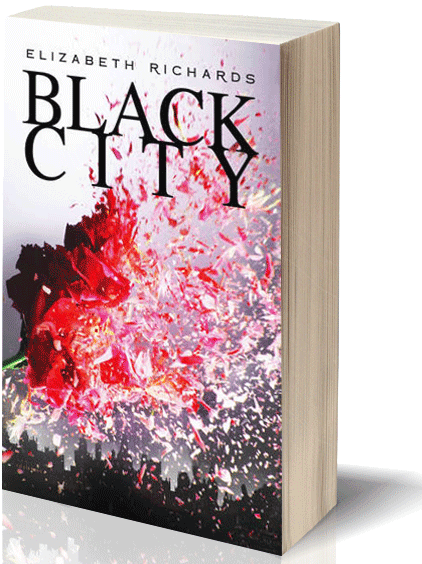 Black City de Elizabeth Richards , Reseña! !